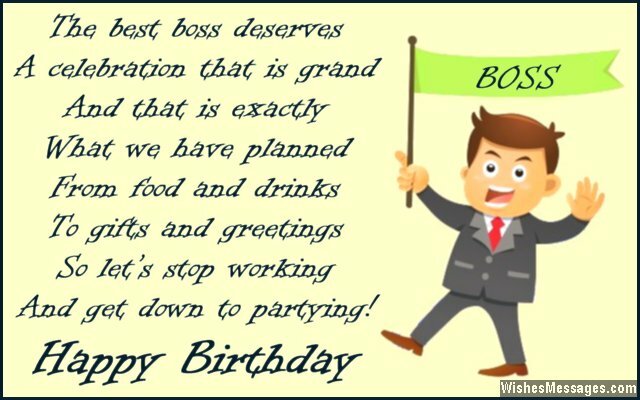 Birthday Poems for Boss: Lighten up the serious mood in your office by giving your boss’ birthday celebration a personal touch. Instead of the usual one-liner wishes and messages, a sweet poem on a birthday card is a great way to connect with the real human being behind your boss’ professional facade. A funny greeting has the potential to bring about a positive change in your manager-employee relationship. Reflect on your everyday life at work to come up with your original quotes that show gratitude for all the inspiration and motivation you get from your boss on a daily basis. Get all your colleagues to pool in money for an expensive gift. After all, being overtly nice on your boss’ birthday might make him or her return the favor by being nice to you all year round.